When better than in planning for the holidays and its slew of family gatherings to consider the best home renovation for entertaining. These projects all offer different benefits and can transform your celebration possibilities. From summer barbecues to year-round al fresco dining, a custom deck can make a barren patch of grass into an entertainer’s oasis. Deck projects also earn high marks for strong return on investment and speed of completion, often finished in under a week. Including an outdoor kitchen or bar in your scope of work makes your deck even more party-ready. Options are endless, from a variety of materials –stone, tile, wood, or metal– to the structure itself – tiered decks for sloped spaces to freestanding or canopied zones. Customizing decks with built-in seating, a fire pit, or water feature continue in popularity. Well-planned lighting for both navigation and ambiance will extend your enjoyment of a new outdoor space. With the addition or remodel of a media/entertainment room, you at long last make a real home for all those electronics: video games, speakers, and accessories galore. Finishing basement or attic space for this purpose is common. Make waterproofing a priority if this space will be in a basement; it pays to be proactive about moisture issues. Basement kitchenettes or media room beverage centers are also growing in popularity. From a dry bar with mini-fridge to wet bar with sink, ice maker, and more, your space and needs may vary. The most sought-after renovation for entertaining? The kitchen, of course! Room for guests to circulate and multiple prep areas for extra helping hands at holidays and special events top renovation wish lists. New appliances can mean the ultimate gas cooktop, a wine fridge and enough refrigerator space for party trays and platters. Kitchen extensions or bump outs frequently include a dedicated beverage center or secondary sink perfect for your grown-up cocktail bar or any little helpers. Multi-functional kitchen islands — while offering room for food preparation to buffet space to seating — often serve a key architectural purpose in open concept spaces. More formal entertainers focused on regular dinner parties may prefer an updated galley-style space with its efficient work triangle and privacy for last-minutes messes. This holiday season, whether you decide to improve your outdoor or indoor spaces, you can set the scene for fun with these entertainer’s delights. From deck to game room bar to kitchen, your guests will be greeted in style. 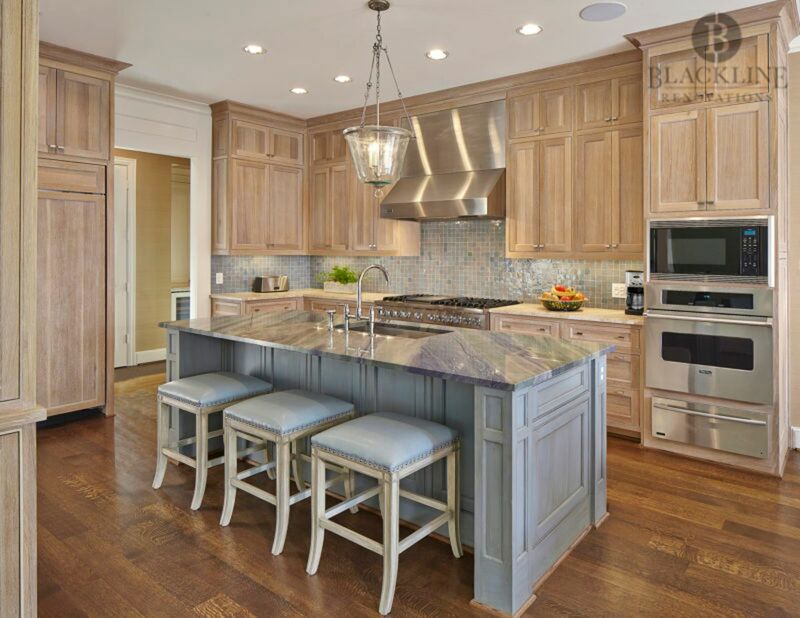 Contact Blackline Renovations to make your perfect holiday entertaining space a reality.